PLEASE welcome England Blackball Pool international Michael Day (@daisy8ball) to WeLoveBetting. Michael will be covering the Masters for us. Below is his outright preview. Attention at the Alexandra Palace turns to the green baize this Sunday, as it hosts the Masters, an eight day event screened live on the BBC. As tradition, the world’s top 16 players do battle in snooker’s most prestigious invitational event with reigning champion Ronnie O’Sullivan in ominous form. ‘The Rocket’ is inevitably, and quite rightly so, the market favourite for the event (15/8 Boylesports) after back to back major wins in the Champion of Champions and UK Championship. O’Sullivan’s pedigree in the event is exemplified by the fact he has reached the final of this showpiece 10 times, on which five occasions he has taken away the beautiful trophy. Factor in that it's his local event and a one table set-up, and it all makes rather grim reading for his competitors. The five time world champ sits in the far more favourable top half of the draw with a potential semi-final clash against Neil Robertson most definitely on the cards. I would expect both players to win their quarters, (Robertson 4/6, Ronnie 4/9 both with Paddy Power), and despite the odds on quotes, I feel this is the most logical betting opportunity. The bottom half of the draw is an absolute minefield, jam packed with World and Masters champions. However it is a player who has won neither of those events, Judd Trump, who is fractionally favourite to advance. ’The Juddernaught’ is in fantastic form, having won in Australia earlier in the term, also running O’Sullivan very close in both of the last two tournament finals. Judd is best priced at 13/2 (Betfred) for a maiden Masters win, which could be seen as decent. He opens against Stephen Maguire, a player he has had recent and historical success over, but then would face either current World Champ Mark Selby or Shaun Murphy in the last eight. If I had to pick winners of these ties, I would just shade Trump to beat Murphy for a semi final berth. The other quarter of this side contains Ding Junhui, John Higgins, Joe Perry and Mark Allen. I really like Allen’s chances here. He has had his best start to a season ever reaching two major finals in China, and a PTC title to his name. He starts against the slowly declining John Higgins in round one, and with odds of 8/13 (Ladbrokes), this is my opening round pick of prices. He would undoubtedly have a very tough quarter final clash with Ding should he dispatch Perry (which I’d expect), but at 12/5 (Bet 365), I think this is great value considering the Chinaman’s ordinary form so far this season for Allen to win the quarter. If I was feeling very bullish I would name the finalists being O’Sullivan and Trump (6/1 Paddy Power) for the third consecutive major final. 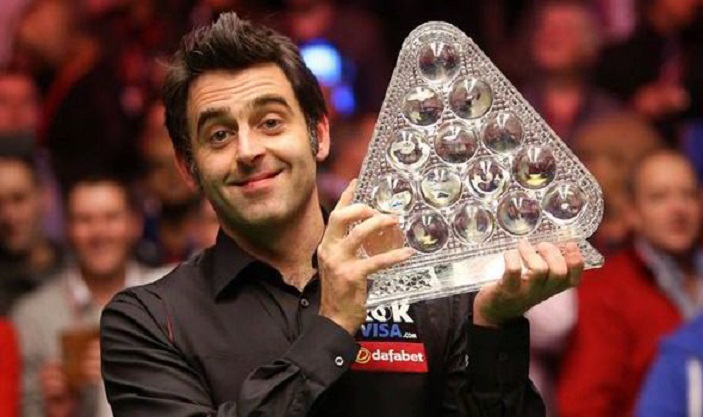 However with 39 year old O’Sullivan in possibly the form of his life, the best bet would be to predict that snooker’s greatest talent will walk off again with the £200,000 prize money and further bolster his claims to being the sports greatest ever player.